Today, we continue with Thomas of Monmouth’s tales from the shrine of William of Norwich. This time, instead of miracle cures, we get an example of a miracle injury — in other words, a good old-fashioned smiting. On the way we get a visit from a sinister pig and learn that candles might be valued more than a life. 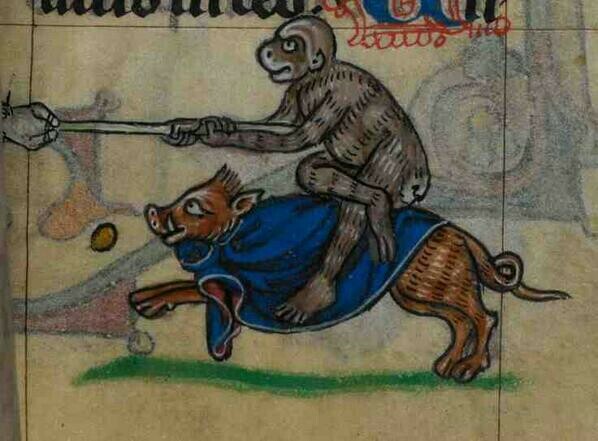 Image: British Library MS Stowe 17 (The Maastricht Hours), f. 82r. This episode is fantastic. I was chuckling continuously at the devil pig. I also love Thomas’s ax-grinding at Prior Elias as shown through William’s candle request. It’s such a great window into the sometimes petty internal politics of these monks. I love the podcast, Patrick.